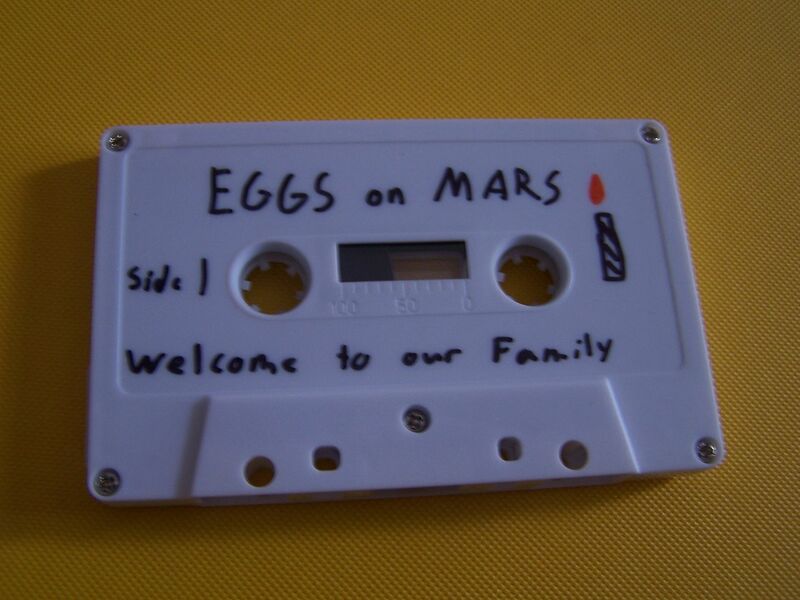 Raised by Gypsies ::: Cassette Review: Eggs on Mars "Welcome to our Family"
Cassette Review: Eggs on Mars "Welcome to our Family"
Could eggs exist on Mars? 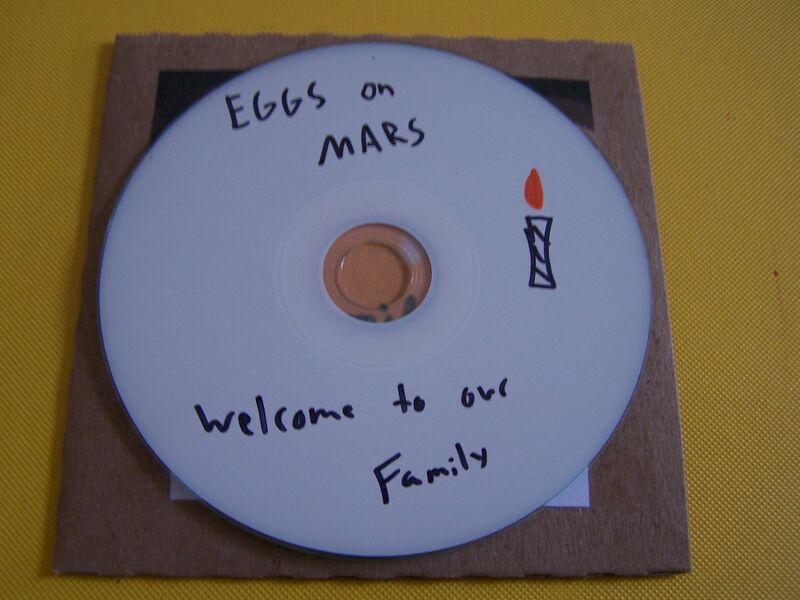 I feel like if there was living creatures on Mars and they laid eggs to repopulate it'd make some sort of sense, despite the severe heat, but I'm not saying anyone should take a chicken there in order to find out. Your eggs might come up FRIED. 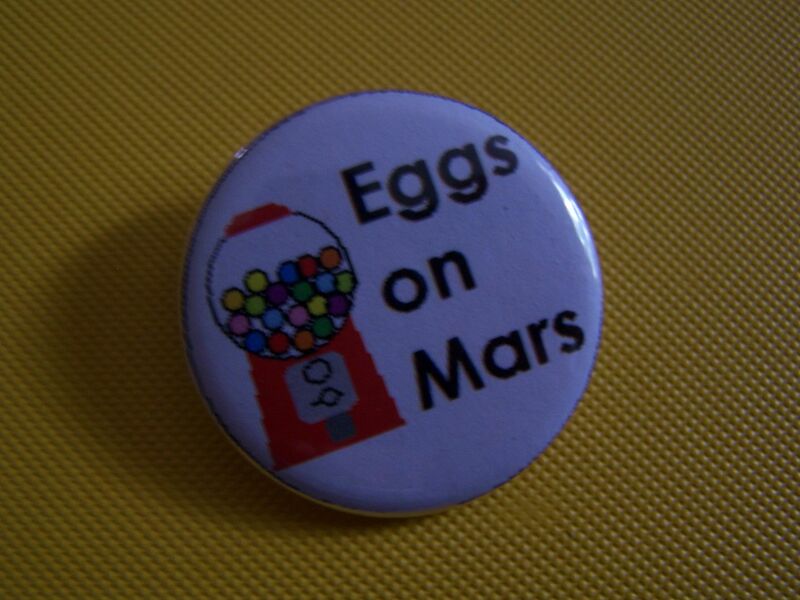 Yeah, okay, let's move past the egg stuff now. My son loves eggs but I only have so-so feelings towards them because sometimes I want to eat them and other times the thought of them makes me want to puke. 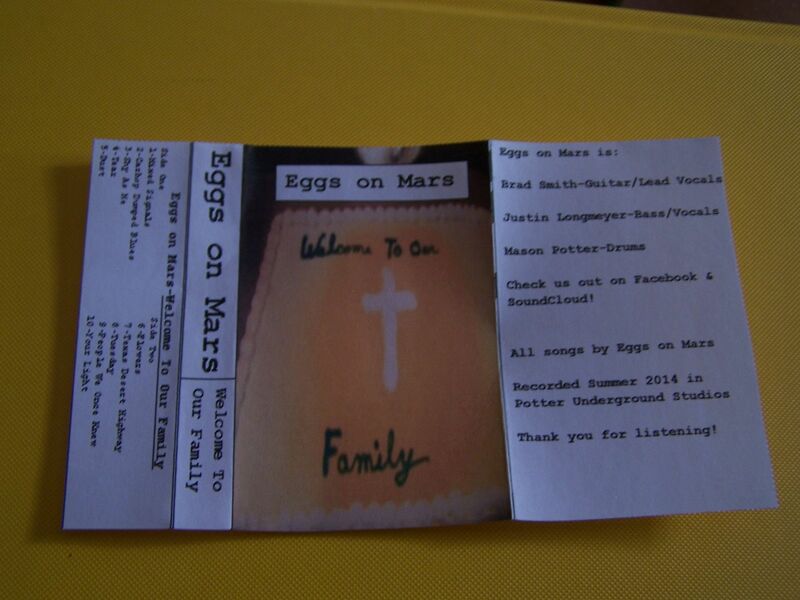 The thing about Eggs on Mars is that these songs have a full band sound but they play out like a singer/songwriter would for me in terms of comparisons and reviews. So you know how different people can lend their voices to things to make it sound, umm... differently? It's this theory I wrote in college about how music isn't really as played out as it seems because you could strum the exact same chords on an acoustic guitar and sing the exact same words trying to be the exact person who sang the original song (See: the movie "Rock Star"-- MARKY MARK!) but for the most part, something like 98.9% of the time, the music of one person will not come out directly sounding like another because of the ways our voices and bodies in general are formed. I've always held this true with singer/songwriters because it's hard for everyone to sound like EFS when he was just one man and there are so many out there emulating him. 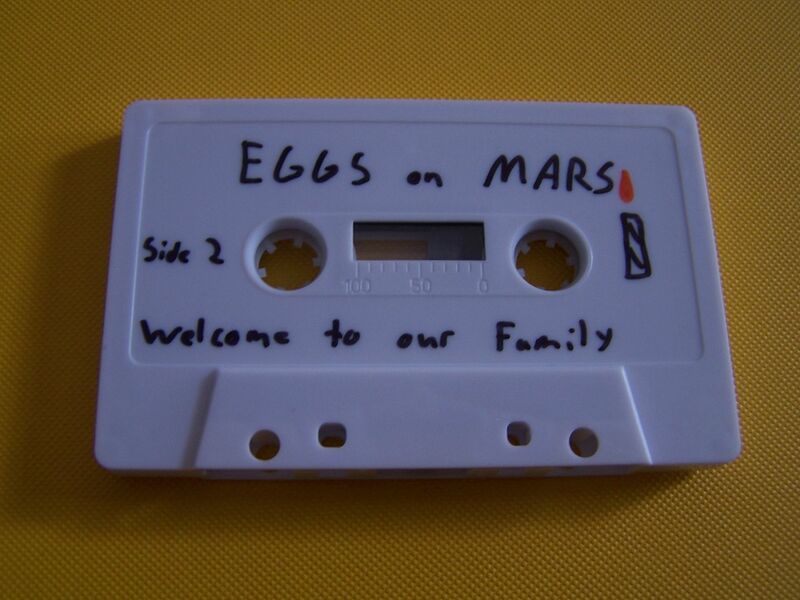 Eggs on Mars have that same idea applied to the full band feel and, yes, I realize adding in drums and bass should make it easier to compare this with someone but it doesn't. 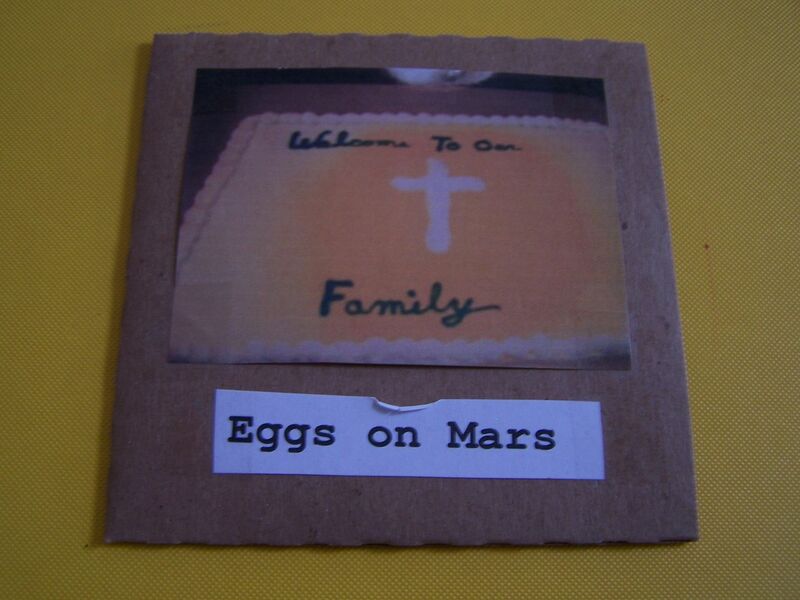 Eggs on Mars just maintains their own identity- their own unique voice- throughout these melodic songs that have an acoustic indie rock feel to them. I like to think of it as trying to compare someone to Tom Waits which is easy but it is much more difficult to compare Waits to someone who came before him because he is just so himself. There are sweet guitar solos and the singer can really belt it out at times. A little bit of surf comes out as does a desolate version of The Beatles but this doesn't really sound like any one artist or genre. As I begin to hear some Foo Fighters- more in the song structures and their delivery than actual pitch and tone- I begin to hear Nirvana then as the songs become layers. Something like dreamy, classic psych mixed with elements of Neil Young is one way to describe a small portion of this but perhaps not the best overall description. 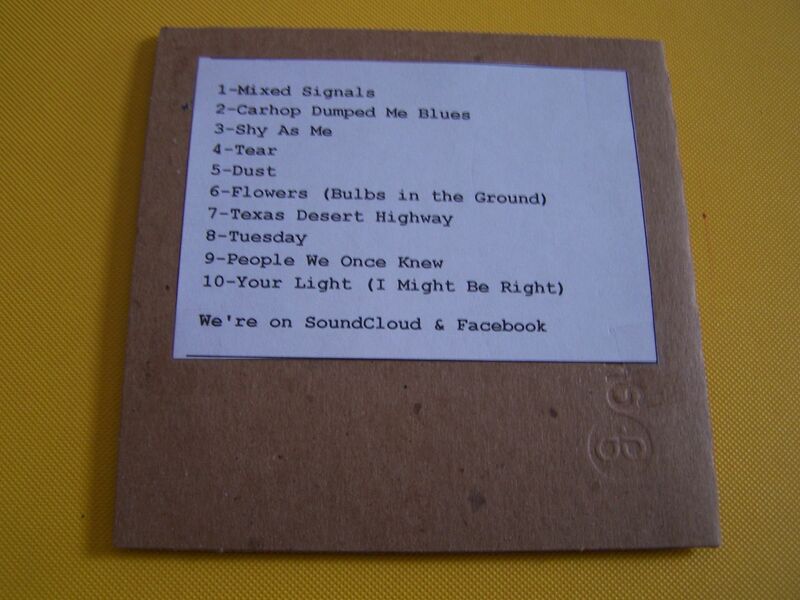 The last song on Side A- "Dust"- also takes on a feel of Love Spit Love mixed with Social Distortion but that might only be due to the lyrics being about admitting that you're wrong. 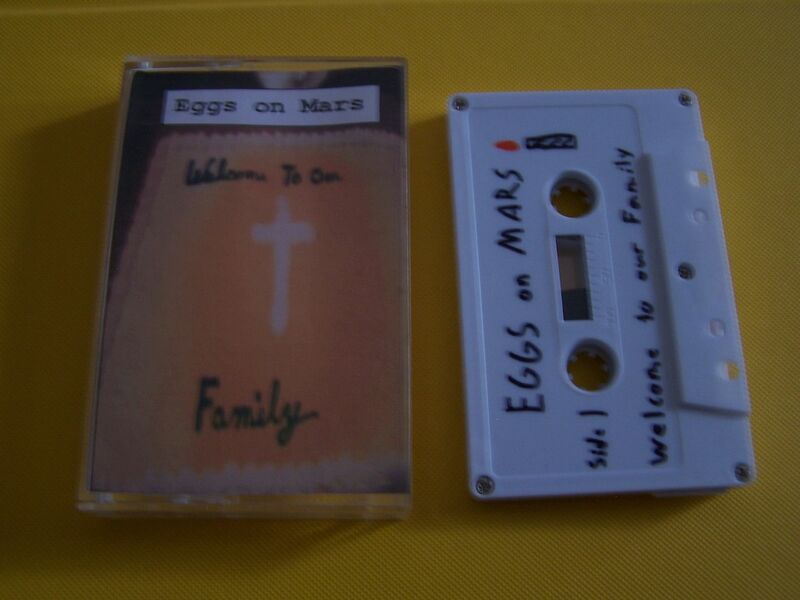 Through the second side I hear some Meat Puppets, some post-"Dookie" era Green Day and it also sounds somewhat lo-fi. 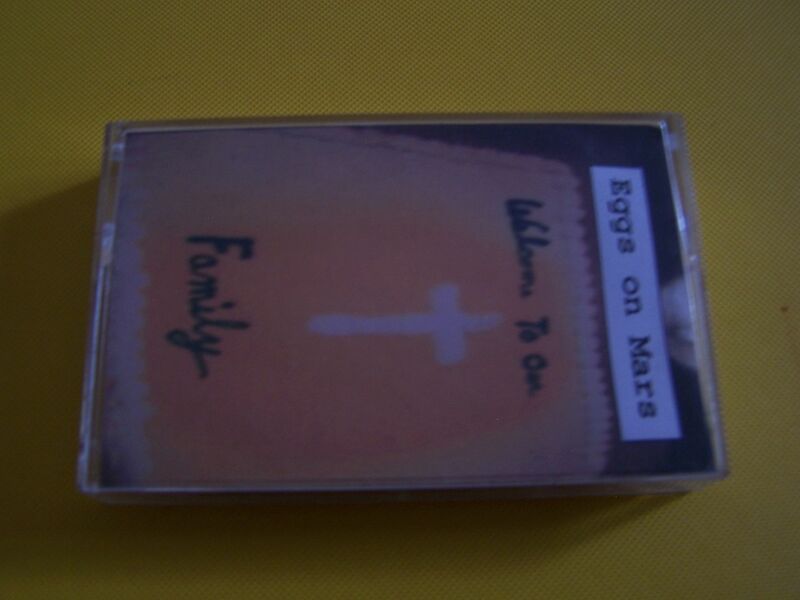 A little bit of Cracker can come out, more Neil Young and as a cassette can best do there is also a bonus track (Because CDs give away the time, you see...) The more I listen to this cassette though the more influences I can bring out, from the "Mallrats" soundtrack to "Angus" to something I've not thought ot yet and that is the beauty behind it all, really. Each instrument seems to have its own voice on here and that just makes it so much more excellent because it's what you've heard before perhaps but you've never heard it like this.